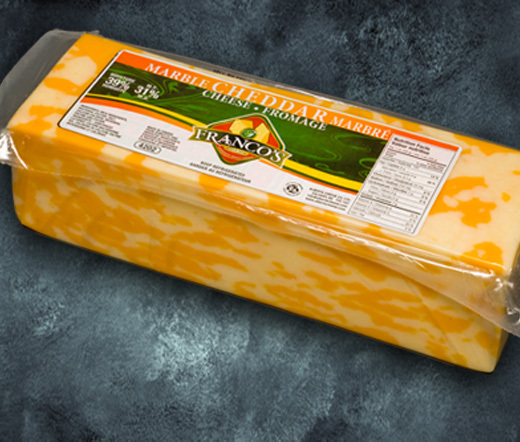 Contrary to popular belief, marble cheese does not contain one single ounce of mozzarella. It is a flavourful combination of white and yellow cheddar, with the same smooth texture and mellow flavour of cheddar. Sorry Mozza, no room for you here!